Straight from the boss’s mouth, by golly! Other exciting activities confirmed for the day will include: Roller-coaster rides! Fermentation tank diving demos! A high-performance bike giveaway! 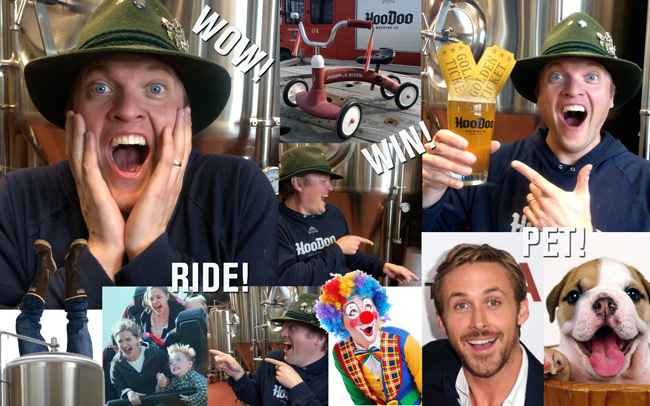 Photos with Ryan Gosling and his puppies!!! Free, unlimited guesses to access our free WiFi! Clowns! 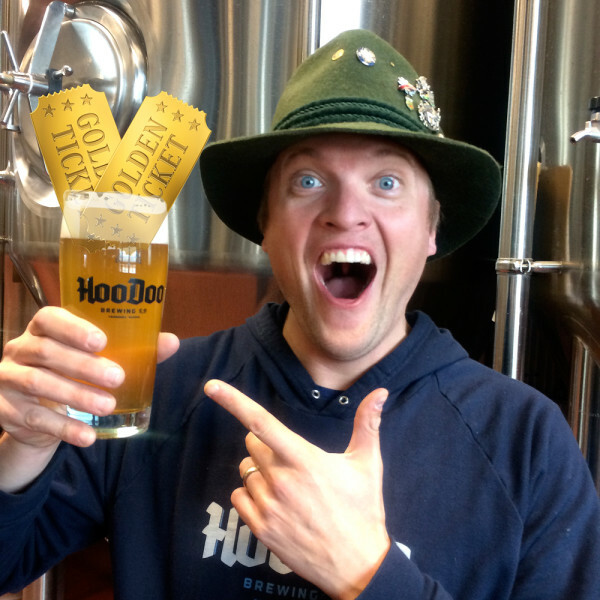 And pints that may (or may not) have golden tickets to ride the brewery’s great glass elevator so you can find out if you’re being given HooDoo Brewing Co., as a gift, from Bobby*. *No, seriously. Just look at that face.